South Korea is looking to instate a new tax on the so called “kimchi bonds”, in order to control the country’s short-term external debts and slow down the excessive appreciation of the national currency. In a statement issued on September 7th the Finance Ministry of South Korea revealed that foreign investors will soon be faced with a new 14 percent tax on all interest incomes earned from foreign currency bonds sold in the country. These financial instruments have come to be commonly referred to as kimchi bonds. The tax revision will apply to local branches of foreign banks, non-resident corporate investors, and overseas individual investors. It is expected that Japanese banks will be particularly affected by the change, as they currently hold over 75 percent of the country USD 17 billion foreign currency bond market. The proposed tax will be instated in early 2012, if it wins the approval of parliament. The new measure is expected to help reign in the currently high levels of appreciation of the Korean won. 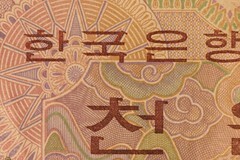 In an earlier effort to control the currency’s growth, the government banned financial companies from purchasing kimchi bonds if the issuer planned to swap the proceeds into won. According to the Finance Ministry, the proposed tax change will add equality to the tax system, as domestic investors are already charged a similar tax on interests earned from kimchi bonds. The change will be accompanied by the introduction of several other taxation measures on financial derivative products. However, finalization of these tax proposals will be delayed until 2012, when the Finance Ministry can gauge the performance of its currently tabled kimchi bond tax.